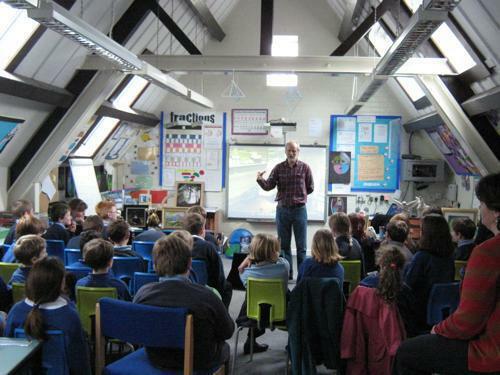 Jasper Cooper, author and illustrator of the children's fantasy/adventure trilogy, Kingdom of Gems, visited pupils of Longborough and Swell Primary School. Jasper brought with him a wonderful display of his paintings and some of the magical animal characters from his stories. The children were given the opportunity to pose questions to Mr Cooper and to purchase copies of his books which were duly signed by him. This was certainly a good opportunity to meet an interesting author, face to face, who not only talked about his work, but life as an author as well.